SEO is a wide subject. Each day there is more advancement in the SEO field. The whole issue about SEO is to give you an upper hand among the many competitors that the internet hosts. Today, we are going to learn about the secret SEO tools that you didn’t know they existed but can really be useful in your online SEO endeavors. They include SEOProfiler, Moz, Serpstat Jumphot.com, KeywordTool.io, Lucky Orange Keyword Planner, Circloscope, BuzzSumo, Hashtagify.me, ManageFlitter and FollowerWonk. PS: before you use the tools mentioned below, please remember to first to turn to sites such as Serpbook.com for expert help. Nightwatch is an SEO tracker of the next generation, designed for companies and agencies tracking high volumes of keywords and high-traffic websites. It is designed for scaling and offers progressive SEO tracking features such as advanced visualization and segmentation of keywords and backlinks, data aggregation, automatic keyword and competitor discovery, smart notifications, and much more. Nightwatch is exceptionally good at segmentation and visualization of the data. Like no other tool it enables internet professionals to get a better understanding of how search rankings, site changes and traffic correlate and affect search visibility. It is ideally suited for website owners, marketing agencies and professionals who are focused on scaling up their internet businesses. To understand how SEO Profiler works, I’ll take you through the steps on how to use it. SEO profiler allows you to set up a site or sites. They charge for their services with their pricing starting off at $20. Once you plug in your site, you also enter all the keywords and then track them and your site’s ranking for the particular keywords. SEO Profiler allows you to disinfect your links. A dozen of bad links can be rectified easily by downloading a CSV file for those links into your disavow file. In addition, it suggests links that you should put into use by giving you starter links. These are 100 different links you can rely on without worrying that you’ll get penalized for having them. Using their Opportunity Finder tool, you can enter your site and those of your competitors to display all you have in common. You can borrow a few tips from them if they’re doing extremely well. Another good thing with SEO Profiler is that it conducts website audit for you. It is able to point out spelling mistakes, 404 errors, broken links and other things that are wrong with your website. It can tell you when you lack Meta descriptions when your titles are extra long and offer a long list of other issues you can work on. You need to pay $100 monthly to be able to use Moz pro. You can use Moz local for a much lesser budget if you need help with local organic rankings. Moz is complicated in its use. With it, you can index sites as well as track your keywords. It also has the following features: keyword difficulty checker, keyword analysis, and open site explorer which allows you to examine other sites and see the factors contributing to their ranking. To use Moz local, you plug in your address (which belongs to a Google page or a Facebook page) or your website. It lets you index your address if it finds it for around $80. Indexing your address adds your different local ranking for different local sites such as Yelp and Bing. This gives you something known as NAP consistency which enables you to rank higher in local searches. NAP consistency translates to consistency across different platforms. Google uses this consistency to tank you highly. Moz helps you to be found on different search engines. Moz Bar calculates the strength of your domain, showing the authority of your domain. Once you put your site’s address into Jumpshot, it estimates your site’s traffic. It collects its information from Avast Program. Jumpshot depends on Google searches data from users using Avast antivirus and have allowed the program to track their data to predict actual clicks to your website by comparing the keywords to those of your website. If you have use Avast Antivirus program and have allowed it to track your data, now you know what it does with it. Jumpshot exists because of you. In summary, it provides insights, campaign optimization, and audience activation services. It is free for the first 15 days. It is perfect for competitor analysis. This is one of the many search engine marketing tools available. As the name suggests, it offers varied suggestions of keywords that you might like to track. If you use the free version of this tool, you get less data. For better and improved services, you’ll dig $60 a month from your pockets. Keyword Tool.io uses suggestions from four main avenues: Google, YouTube, Bing, and the App store. Apart from giving you keyword suggestions, it also shows you questions asked frequently by search engine users. The tool is pretty good for social media marketing. It a chrome extension. When you download it, you can use it to view other site’s stats relating to what kind of shares they get, the links to their content, and who shares their content. You can also view what was recently removed from Twitter as well as Twitter shares on each post. It is useful for two reasons: It can help you reach out to potential users who might link to your website and it is good for analyzing content socially. This is recommended for those doing pay per click ads or display ads. It is a research tool for keywords which allows you to come up with the right keywords for your marketing campaigns. It can be used by both experienced and beginners. It also enables you to choose budgets and competitive bids to use in your campaign. This tool has been in existence for long but it is least discovered. It is an application that allows you to follow the people using it. To start off, you can type any terms you want or any person you want and it will display all those currently tweeting about those accounts or terms that have the terms you type in their description. Then you can follow these people related to those terms. The program shows you who followed back and those who didn’t. You can unfollow those who fail to follow back. It is a great way to garner more followers on Twitter. You can mass follow dozens of different people using this tool. It is a plus if they follow back. Give it a try in case you need to increase your followers on Twitter. This is also a marketing tool. You can easily say from its name that it used to show the popular hashtags. This is true as it shows you all the popular hashtags at that particular moment. When you type a particular hashtag on it, it will show all the people engaging the hashtag and how it is trending. It suggests related hashtags too and how they are fairing. Using bubbles, it shows you how popular a hashtag is by the size of its bubble. It is similar to ManageFlitter. But instead of following these people, you circle them. For example, if you had a community of IT geeks that you fancy but you don’t want to go in and interact with different people, using Circloscope you can check out the entire community of people. Here you type the URL belonging to that Google plus community to basically start following people by clicking on their names. For the first 100 to 200 results, you can mass follow and then allows you to add them. Just as is happens in ManageFlitter, if they don’t circle back after a few days you remove them from your circle. The tool is used for gaining followers on Google+. This app is provided by Moz and works similarly to ManageFlitter only allowing you to check out varied Twitter channels. If I wanted to check out someone’s channel, it would let me see his followers, what he tweets about and his top tweets on certain hashtags. Apart from helping you to explore, it can help you grow your social graph. It is a twitter tool used to discover, examine and optimize for social growth. This is an essential tool for keyword analysis. You can use it for organic research. If you wanted to snoop around at your competitor’s site, you basically put the sites address into the tool to see the estimation of the organic traffic he’s getting including the paid traffic visiting their site. Apart from this, you can be able to view backlinks, top keywords, the traffic they are getting from the keywords and display advertising. Its estimation in most cases is pretty accurate, sometimes it is not. It provides a good estimation but doesn’t entirely rely on it. 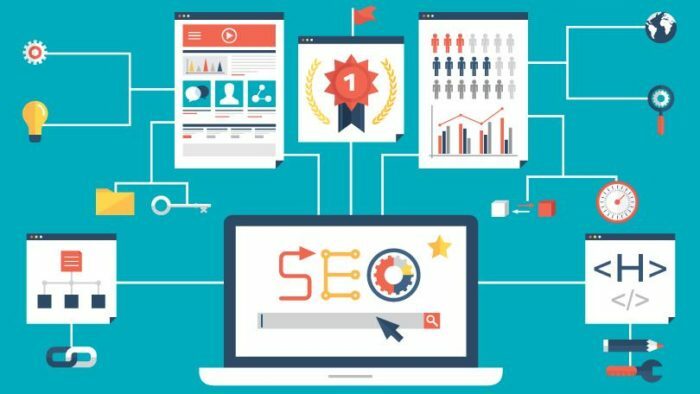 Other core functions include semantic core collection, technical SEO audit, position tracking, competitive intelligence, backlinks audit and analysis, and ideas for gaining more organic traffic. The secret is to understand how to use them effectively for optimized results. Each of them can enhance one thing or another in your life. Ensure you check them out. So, I have been working as SEO executive and I always wanted to learn more in this particular field thus, I searched a lot. While going through a lot of articles I realized that Content plays an essential role in SEO and therefore your article helped me shape my mind and I knew I had to learn the tips and tricks to perfect my content, thank you for your article. Thanks for sharing this great information about SEO Tools it is very important for me. 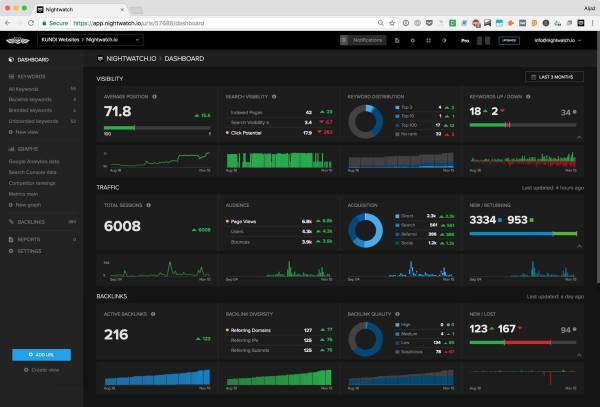 Tools are the integral part to know the website performance and analytics , thanks for sharing some valuable tools , really don’t know some of these exists. These tools are very good and are very useful any more free tools apart from this , please suggest. Thanks for sharing those tools list, known some of them are known before but some of them are new and are really effective, tried these after reading your blog. Thanks for Explaining those valuable tips these are really help full in making analytics and changing accordingly to achieve better success in business. As a Small business owner with a startup I was looking for the effective way of marketing my business , to analytics are very important to know the business status , thank for those analytics tools shared which help a lot in better implementation. I already had some tools from this list but not all these tools. Thanks for sharing now i have some more tools in my box which help me to deliver my work easy. It is really helpful to people who do O operations for their sites. Hi WPArena, your content is good, I request permission to translate some of your content to publish on my blog. I want to translate into the Indonesian language. Do you give permission?